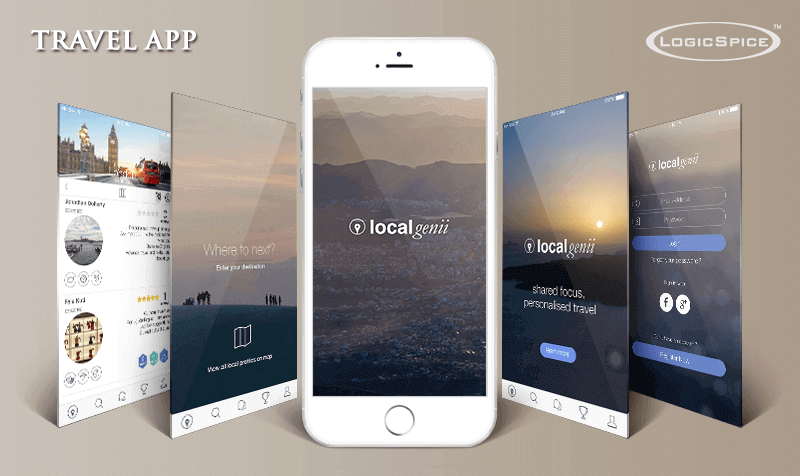 LocalGenii app that will serves as iPhone App. Here users as travellers/locals can register as traveller as default and will be able to post their services by selecting “become a local” and specifying their lenses & expertise in travel related services. They can upload the images that will define the travel experience. Users will be able to search users as locals by selecting travel date and can choose maximum 3 lenses from all of them. They will be able to view resultant listing of users(locals) as per search criteria. They will be able to view profile of selected user & can read the reviews over app. They can send messages to user (local) via instant messaging feature. They can connect to the local via clicking over connect icon & check service started & in-progressed. After connecting they can post their review over the user (local's) profile. They will able to view localboard to see rank of users listed as locals. LocalGenii chooses LogicSpice for its extensive experience in the world of web, iPhone application development, thereby provides a better user experience. The motto of the proposed app solution is that users can register as traveller and can post their services & specifying their lenses & expertise. Users can serach locals by selecting maximum 3 lenses and view listing. They can view profile of selected user. They can connected to the local. After connecting they can post their review over app.